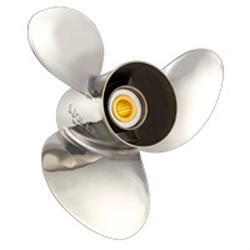 ​Suzuki props will get the most performance from you boat. The Solas Suzuki props are made of alloy or stainless steel. If you are looking for Suzuki props? Then you can't go wrong with Solas suzuki props. You will get a better hole shot, increased mid range and more top speed. NOTE: We also have 1000's Solas Amita, Rubex, Saturn, Scorpion and Lexor propellers that are stainless and aluminum 3 to 4 blade at our other store at watercraftpropellers.com.